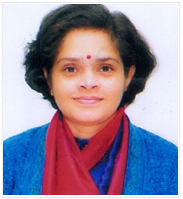 Dr. Ipshita Bansal is a Professor in Department of Management Studies at Bhagat Phool Singh Mahila Vishwavidyalaya, Sonipat Haryana since December 2012. She is former Dean, Faculty of Commerce and Management Studies and Chairperson- Department of Management Studies. Prior to this, she worked in Banasthali Vidyapith, Rajasthan for 14years in various positions. Since obtaining masters degree in Business administration in 1990, she has had rich and varied experience in the industry as well as in academics. For more than 2 decades she has been actively engaged in management teaching, training and research. She has published more than 50 papers in national and international journals of repute, published 2 books and presented papers and chaired sessions in national and international conferences in India and also abroad on her visits to England, Netherlands and France. She is acting as paper reviewer for international journals of Emerald Publications UK and has undertaken 2 major UGC projects. 19 students have been awarded the degree of Ph.D under her guidance. Her most engaging research interest are Indigenous Management Thought & Practice and Women in Management. Prof. Bansal has conducted many training programs< in the reputed Universities and Academic Staff Colleges of India, with prominent themes being - Integrating Indigenous Indian Knowledge in University Curricula, and Human Resource Management in Higher Education Institutions. She has been associated with the UGC scheme of ‘Capacity Building of Women Managers in Higher Education’, < for 10 years till 2013,undertaking the roles of Associate Trainer for Sensitivity Awareness & Motivation workshops, Master trainer for Training for Trainers Workshop and Module author and master trainer for Module on Human Resource Management in Institutions of Higher Education for Management Skills Enhancement workshops. Under this program she has trained middle to senior level women academicians as well as administrators in universities and colleges with diverse cultures, governance systems and sizes, over the length and breadth of India. In 2007, she worked as a resource person for the Gyan Jyoti project for Women Entrepreneurship’ Coordinated by AIM&ACT–Faculty of Computer Science Banasthali University, sponsored by Department of Information Technology and Communication, Government of Rajasthan. For eight years she organized and facilitated the Grass Root Action Management Program< for management students in Banasthali University under which they got attached to various NGOs and worked at grass root level in rural and remote areas of Rajasthan, India. In 2018 she completed a Rs 1.12 Crore project to develop e content for 16 courses of post graduate program in Human Resource Management under UGC –MHRD project of EPG -Pathshala. In January 2019, she was selected for Leadership Development (LEAP) Program held during 3rd to 19th of February coordinated by NIEPA Delhi and visited University of Oxford UK.